A fine of Rs 1050 crore each was recommended by the TRAI for Airtel and Vodafone, while the regulator also sought a penalty of Rs 950 crore for Idea Cellular. The Attorney General has approved a combined penalty of Rs 3,050 on incumbent telecom operators, Vodafone, Airtel and Idea Cellular. As per reports, the AG has agreed that the Department of Telecom (DoT) is within its powers to impose the said fine on the three telcos. The penalty on the trio was sought by the Telecom Regulatory Authority of India (TRAI) for failure to provide quality cellular services (call drops) and non compliance of license regulations, along with lack of adequate interconnect points for new telecom entrant Reliance Jio. TRAI had sent a recommendation for the fine to the DoT last week, which in turn referred the matter to the AG. "AG has opined that DoT can impose penalty on telecom operators for violating quality of service rules," a source told PTI. TRAI had sent the said recommendations for imposing the penalty given Reliance Jio’s complaint that 75% of the call failures on the network occurred due to lack of adequate interconnect points provided by the three incumbent telcos. It "appears to be with the ulterior motive to stifle competition and is anti-consumer," noted TRAI in its recommendations. 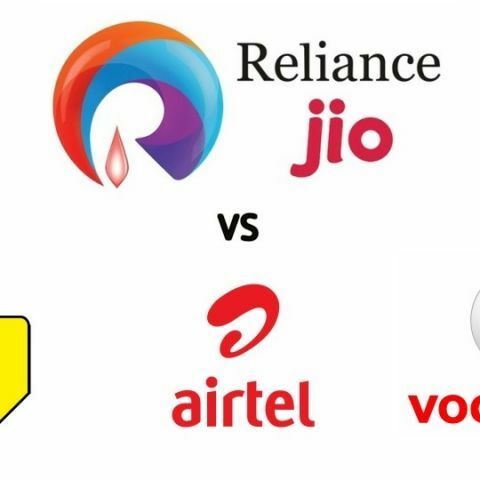 The war between incumbent telecom operators and Reliance Jio has been a long drawn one, with TRAI mostly batting for Reliance Jio. Two days ago, Bharti Airtel has filed a new petition in its follow-up of the legal battle against the Telecom Regulatory Authority of India (TRAI). In the complaint filed by Airtel to the Telecom Disputes Settlement Appellate Tribunal (TDSAT), the private telecom operator has alleged that TRAI is “tacitly” allowing Jio to promote anti-competitive offers of free data and calling. Airtel further alleges that by allowing Jio’s initial Promotional Offer, and then the Happy New Year offer, TRAI is “perpetuating illegality” by unfair practices surrounding telecom interconnect services.